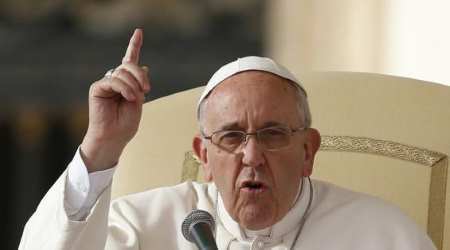 In a recent interview, Pope Francis said: Sometimes Ive found myself in front of people who are too strict, who have a rigid attitude. And I wonder: How come such a rigidity? Dig, dig, this rigidity always hides something: insecurity, sometimes even more. . . .Rigidity is defensive. True love is not rigid. He may have been unaware he was using a code word, to the chagrin of many faithful Catholics. Many seminary authorities  at least in the 1980s  were overly confident in themselves. They used rigidity as a code word for unbending orthodoxy, a high crime then in the priestly formation business. Many bishops, unfortunately, were out of touch with the modern seminary system, and the ambiguity of the word was exploited by dissident seminary authorities. A candidate could not be expelled for orthodoxy. But the average bishop fears clerical obduracy  a fear, I gather, that is well-founded. Hence, seminarians lived in dread of being charged with rigidity, i.e., of holding fast to the Faith. The seminary admissions interview was similarly surreal. I was asked, predictably, why I wanted to become a priest. But the questions became increasingly bizarre. They asked me how I would feel if a priest celebrated Mass without vestments. My observation that it was a violation of liturgical legislation did not satisfy them. They concluded, somehow, from this that I held that non-Catholics would be damned  a non-sequitur. They just didnt like my confidence in the truths of the Faith. During the final meeting, I explained that, simply put, if Christ is truly present in Holy Communion, then He elicits, nay, requires loving adoration. What could be better than to be an instrument of Christ, changing simple bread and wine into His precious Body and Blood? They were not impressed and suggested I didnt believe that Christ was everywhere. Asked about my interest in theology, I explained that theology should be used in the service of the Church, otherwise it is useless. I suggested that not everyone is, or should be, a theologian. If theology is used to confuse the faithful, then we should stick with sound Catholic doctrine. Going for broke, I expressed my belief in Humanae Vitae and Familiaris Consortio. I quoted Pope John Paul II that the compassionate bishop  and priest  will preach that homosexuality is wrong and that abortion and contraception are against Gods law. So I hope the Holy Father understands why so many of us bristle at the charge of rigidity. Ive committed many sins, and I know a rigid attachment to my predominant faults is among them. But Im glad my confessions are protected by the Churchs rigid Seal of Confession. May this and many other rigid planks of the Barque of Peter support our faith now and forever.